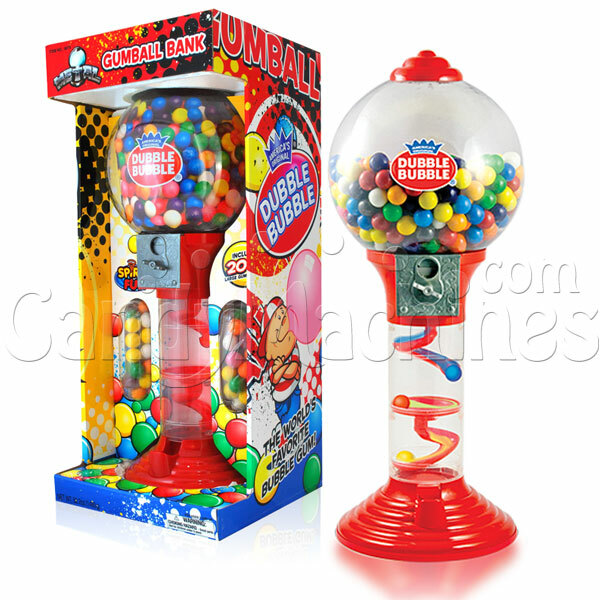 This gumball bank has a clear base to watch the gumballs roll down colorful spirals and stands at 24" tall. Great for a home, office, dorm or kid's room. Includes 200 pieces of assorted color gumballs.